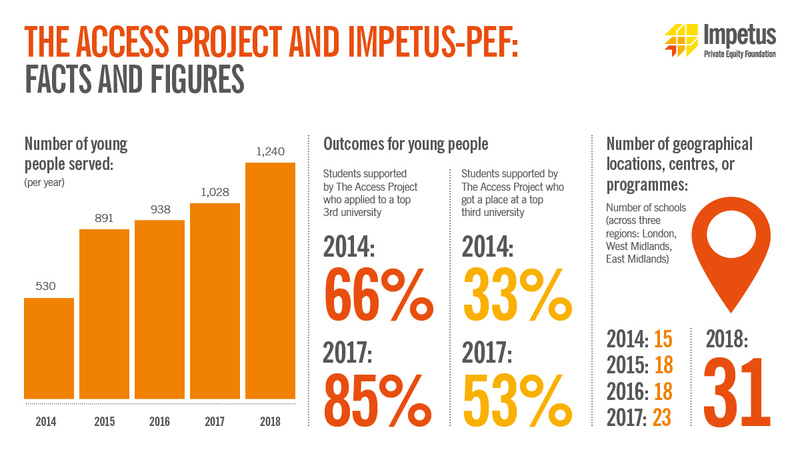 In 2014, just over half of the pupils The Access Project was working with were from disadvantaged backgrounds and of these, 66% applied to a selective university and 33% got in. 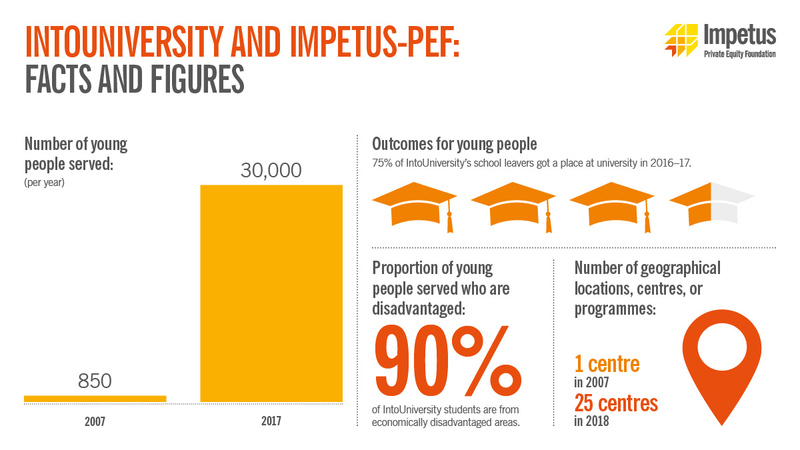 By 2017, following four years of partnership with Impetus, over 90% of pupils came from disadvantaged backgrounds and of those, 85% applied to a selective university and 53% got in. This story reveals how they did that. 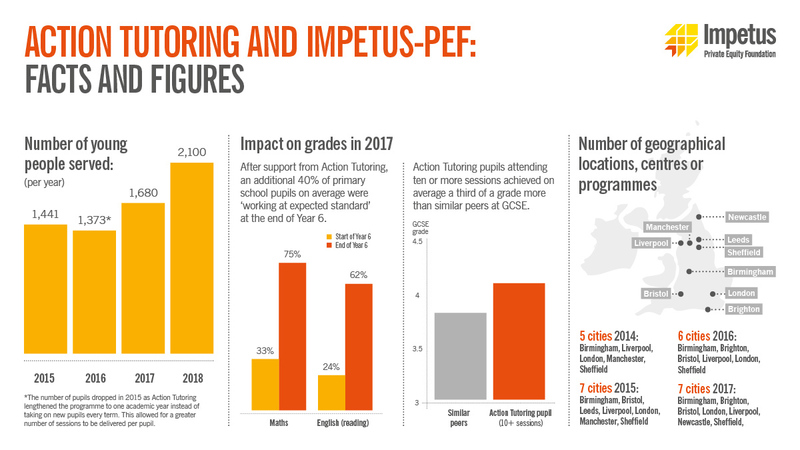 As a result of their partnership with Impetus, Action Tutoring re-designed their tutoring programme – making it longer, with a structured curriculum, baseline testing and regular monitoring – to see whether this would drive up impact. This impact story reveals what happened and what we’ve been doing with them to take their programme to the next level. When Impetus came on board in 2010, Resurgo’s main priority was to expand beyond the two centres it was operating in Hammersmith and Chelsea. 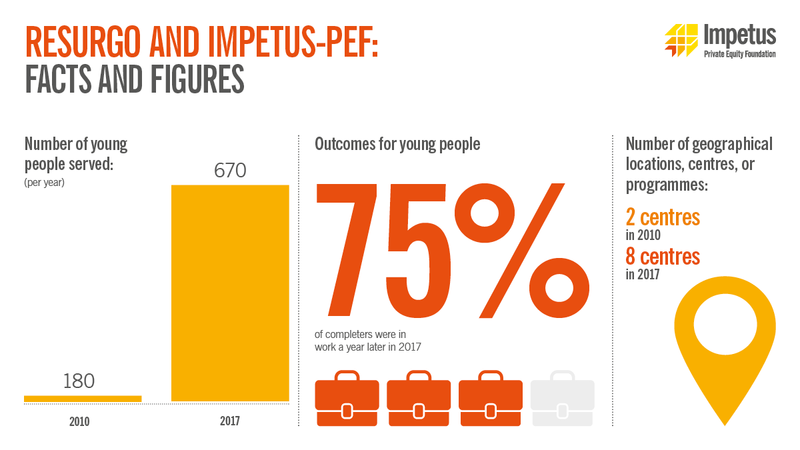 Today, with Impetus' support, they have improved the effectiveness of their programme so that they are getting more young people into work, for longer, and they have expanded to eight centres across London.